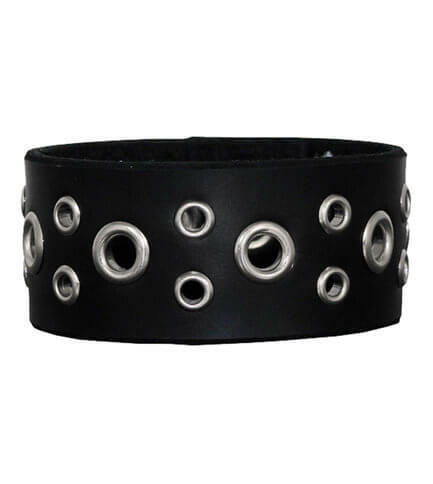 Small and large eyelets form a tentacle pattern mimicking the octopus. Pattern repeats to edge. 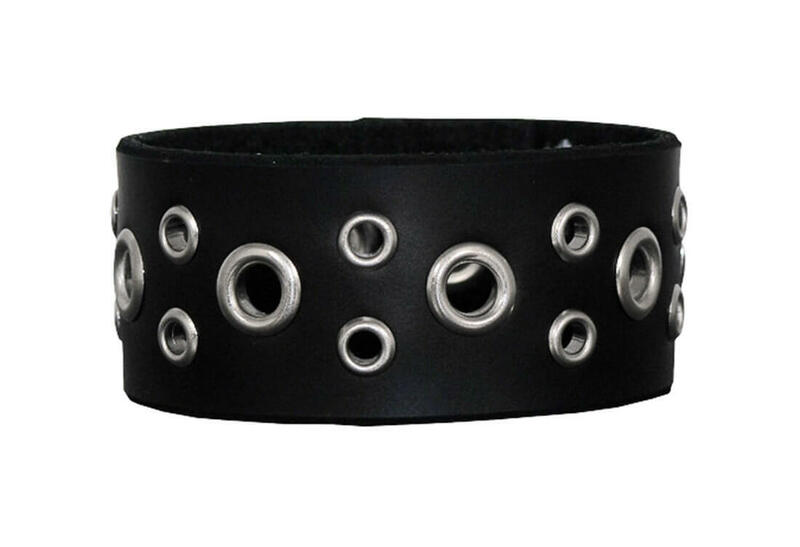 Small size will fit up to 7 inch wrist, large up to an 8 inch wrist. Each features 2 snap adjustment. Made in the USA.